Become a CON faculty member! 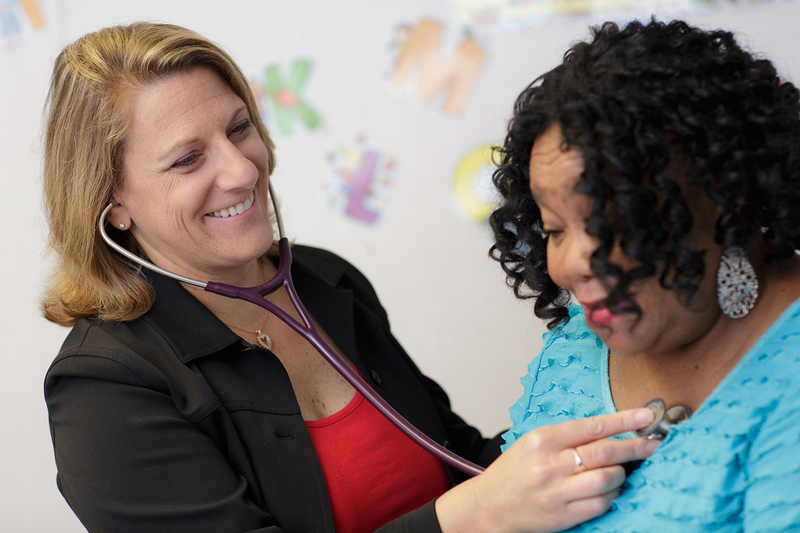 Associate Dean for Clinical Affairs Denise Schentrup, DNP, APRN, BC, is the recipient of the 2019 Nurse Practitioner State Award for Excellence from the American Association of Nurse Practitioners. This annual award recognizes an individual nurse practitioner in each state who has demonstrated excellence in practice. Schentrup serves as clinical director and lead nurse practitioner of Archer Family Health Care, the UF College of Nursing’s nurse-managed clinic. She maintains a clinical practice as a family nurse practitioner and provides quality, affordable care to individuals and families of the small, under-served town of Archer, Florida, and surrounding rural areas. She also serves as the College of Nursing’s associate dean for clinical affairs, provides oversight to faculty practice initiatives, teaches in the clinical setting as a preceptor for adult and family nurse practitioner students and leads DNP students in their DNP quality improvement projects. Schentrup received her BSN and MN at the University of Florida. She received her DNP at Rush University. She will be recognized for this achievement during the AANP national conference in Indianapolis in June.